Update, December 20: ConcernedApe has detailed a few of the new features coming to Stardew Valley in its next big update. I feel like the world stops every time Stardew Valley creator Eric “ConcernedApe” Barone tweets, but that might just be my own affection for farming RPGs talking. We know multiplayer is the biggest part of the game’s big upcoming patch, but we’ve also been teased with vague “new content” also planned for the update. And now we know some of what that content will be. In the mood for more small studio goodness? Check out our picks of PC’s best indie games. There will be a new town event in winter, a new collection that can be started in your first winter, signs that you customize to display any item, more outdoor decorations, more NPC events, and an option to respec professions. 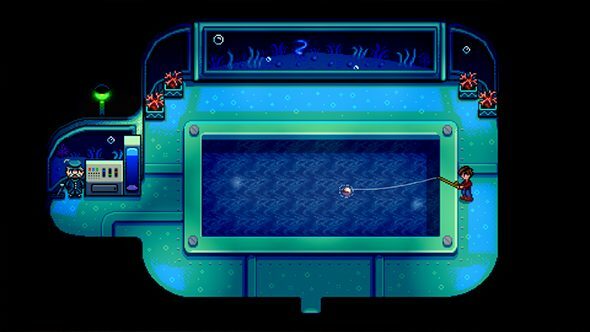 Update, December 8:New content for Stardew Valley lets you go underwater, but you’ll be waiting a bit longer to test out its multiplayer. Stardew Valley is continuing to get new updates, and the upcoming patch bringing multiplayer support to the game will also feature some brand-new content from Eric “ConcernedApe” Barone. Everyone’s still cagey on what that content actually is, but we’ve seen it involves a boat. Now we know that you’ll also gounderwater, so cue the oohs and ahs. An update on the official website says multiplayer support is coming along nicely, with player marriages and co-op festivals already in place, so you’ll never have stand alone during the Flower Dance again. It’s not all good news, though. The beta test planned for the end of this year has been delayed to the first quarter of 2018, “in order to make room for polish and QA.” Since the full release of the update was planned for early next year, you might infer that this is also sliding back a bit. The game will, however, be getting support for more languages, including French, Italian, Korean, and Turkish next year, along with a port to PlayStation Vita. That may not be entirely relevant to you, reader of this English-language PC gaming site, but the more people playing Stardew the better. Update, November 14:Stardew Valley’s upcoming patch will feature more than co-op, as there’ll be single-player stuff too. A boat is involved. Stardew Valley is getting a big patch early next year that will finally bring the long-awaited co-op to the game, but that’s not all – new content affecting single-player will also be part of the patch, according to the game’s developer. I can’t argue against secrets being fun, but that’s just so maddeningly vague. That is a pretty pink boat, though. Can I sail the boat? Can I paint the boat how I want? Can I cross the ocean to escape my fears of how the latest Harvest Moon has turned out? Update, November 9:Stardew Valley’s multiplayer is “coming along great,” “already really fun,” and “only going to get better,” according to developer ConcernedApe. Stardew Valley’s multiplayer is still on the way, creator Eric “ConcernedApe” Barone wants you to know. For real. It’s “really fun,” he says. I mean, that’s certainly something he’d be incentivized to say, but I won’t do anything to denigrate the quality of Stardew Valley or a significant new feature for the game. The mode is supposed to be available early next year – on PC first, naturally – and is hopefully going to let you marry your friends without the inconvenience of picking out a cake and a color scheme. Update August 1, 2017:Stardew Valley will let you play with up to three friends in co-op from early next year, developers Chucklefish revealed in an announcement today. The developers also revealed some new details about how it will work. Basically, one player is the main farmer, while up to three friends can play as farmhands living in their own houses, able to drop in and out when they wish. The main player will be the only one who can trigger sleep and festivals but, otherwise, farmhands are pretty much free to do as they please. They can even get married. Chucklefish are hoping to add the option so you can marry one of your friends, too. Each player has access to their own inventory, so it should open the game up to some hyper-productive super-farms. You’ll have the chance to try it at the end of 2017, as there’s a beta test planned. There are currently no plans for local co-op, but you’ll be able to team up with your online pals. Update February 28, 2017:It was revealed earlier that Stardew Valley was making its way to Nintendo Switch. Along with that announcement, it was said that this would be the first console version to feature multiplayer. The game’s developer promised PC players multiplayer a while back now, but it’s not an easy feature to implement. Don’t worry, though, we’ll still be getting it before Nintendo Switch. There’s still no word on when it will be done, but rest assured that you’re a top priority. Original Story February 5, 2016: Stardew Valley has been an incredible success for lone creator Eric Barone, recently surpassing one million sales. He’s always been adamant he wants to do it all alone, and this had led to the last few months of his life being extremely busy. Finally, though, he’s now prepared to accept a bit of assistance, and he’s asked his publisher to help out with the technical challenges involved with bringing co-op to Stardew Valley. Over the last few months, Barone has released seven patches for Stardew Valley, squashing bugs and adding new features to the Harvest Moon-alike. It was only towards the end of April when he got a bit of a break and he spent that playing Final Fantasy IX, Factorio and Age Of Empires II. He now feels refreshed and ready to bring even more features to the indie hit. Though he’s been committed to creating everything for the game himself, he’s decided now is the time to accept a bit of help from the publisher,Chucklefish, who will handle the porting, localisation, and the technical side of multiplayer. This will allow him to focus on creating new game content for version 1.1, which he will continue to do entirely on his own. Shane and Emily will be marriage candidates. They will also have more events and dialogue as a result. There’s no word on when this will all be arriving, but at least we know the seeds have been planted.